As having on-the-go access to the world becomes a necessity for you and your employees, choosing the best smartphone operating system is becoming a top priority for many small-business owners. 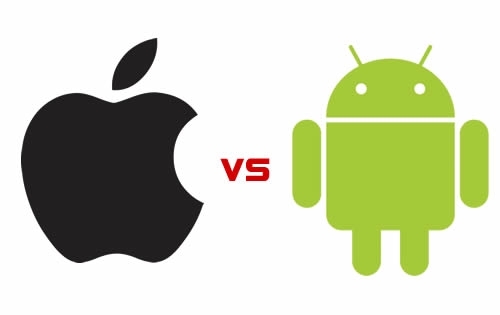 While there are minor mobile OS players, the major players are Apple iOS and Google’s Android. As a small-business owner, your task is deciding which product proves more innovative and useful for your business’s needs. For the most part, Apple iOS and Google’s Android have fought for market share since 2008 when the first Android phone was launched to compete with Apple, which was introduced in 2007. While at first Apple led in market share, in early 2012, Android passed Apple. That’s interesting in its own right, but business owners know that choosing one system over another just because it sells better isn’t a good enough reason to pass it out to your employees or use it as a platform for your next app development. So how do you choose the right mobile OS for your company’s needs? The strength of the Apple iOS is found in the phone’s software. The system is known for being user-friendly and especially reliable. Because the hardware and software are made for one another, the phone tends to operate without any interface problems. Apple products work seamlessly with other Apple products. The iPhone camera is also still considered by many users to be the top-of-the-line in the mobile camera market. The newest version has an even bigger sensor and an updated flash design. So if your business relies on you and your employees being able to take high-quality mobile photos, Apple may be your best bet. Google’s Android is an open platform OS system, which means there are far less restrictions for developing it. For Nick Nascimento, CEO of A Geek 2 Go, an onsite and remote computer and software maintenance and repair company, it’s the Android’s adaptability and resulting cost-effectiveness that made him gravitate toward the system for his business. And though Apple is known for premium applications, Nascimento found the same app flexibility offered by Android, coupled with savings. “We have been able to find the same quality for much less or even free,” he says. If you happen to be in the business of developing apps, rather than asking yourself which mobile OS platform to choose, realize that you’ll be shutting out a huge market share if you opt for one over the other, says Richard Linevsky, present of Catalogs.com, a destination website offering more than 700 product catalogs through its Web portal. The company recently introduced the e-catalog technology, Dynalog, which offers a dynamic and interactive alternative to online PDF print copies of brochures.